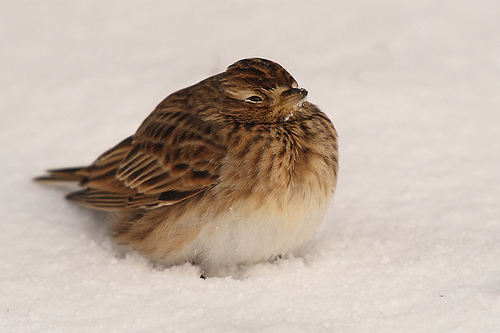 Skylark in the snow on the ground. Skylarks are only to be seen in summer in the Netherlands, but this one was in a city park in winter time. 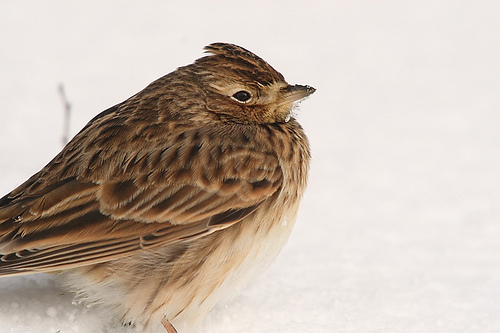 Skylark on the ground in the snow. Skylarks are only to be seen in summer in the Netherlands, but this one was in a city park in winter time. Blue Heron on the ice, standing on a single leg. 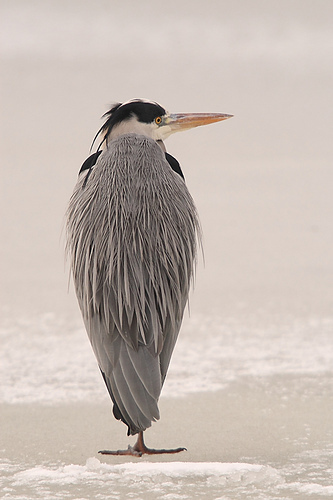 Older Herons have those long thin feathers on their back and front. 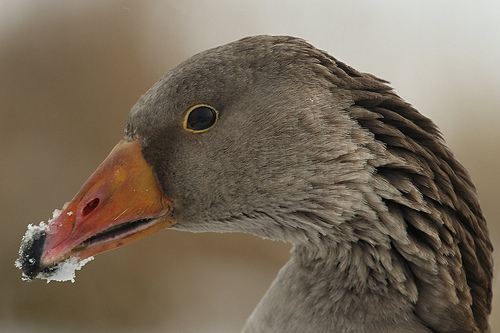 Young birds don't. This old one shows them beautifully.